As first semester Trojan Time has come to an end, students and teachers have been wondering about what exactly will be taking place in second semester. One thing is for sure though, no more lessons on “how to be a good student.” Students won’t have to be with their third period classes every time anymore. During second semester, students may be able to spend Trojan Time at the class of their choice. The only requirement is that students need to choose their current teachers. They will have access to a website where they can select. In addition, teachers will also be able to choose which student they want. For example, if a student needs to make up or redo a test, the teacher will pick the student’s name which will require the student to go to that teacher. The adjusted Trojan Time is meant to help students who are struggling and give them a bit of a break to catch up on the class they are struggling in the most. It can also just give students a break from their stressful classes and can use the time to read a book or just freshen up. English teacher Trenton Logan is working with Spanish teacher Candice Tigerman to prepare the website that students and teachers will be using. Teachers will be using a new website called “TeachMore.” TeachMore was founded by two high school teachers who wanted to be able to be more involved in flex times and tutorials. This website will allow them to track and help students in a more advanced and efficient way. 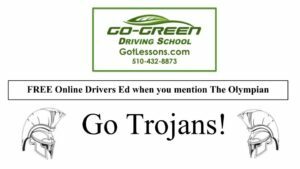 They will be able to organize and set up an appointment during tutorial time, in this case, Trojan Time, and then keep track of those appointments. Students will create a TeachMore account and through the account, they will be able to pick any of their current teachers. Teachers will also be able to book an appointment with a student and they will be able to keep track of all their appointments on the website. As students walk into the classroom during Trojan Time, teachers will use a scanner that is connected to their computer to scan each student’s I.D. card to confirm that they are in the right class. Many school districts in the Bay Area have been benefiting from this new website. These school districts include San Jose, Fremont, Palo Alto, San Mateo, Acalanes, Sequoia, and East Side. “It should be really great and a lot better than last semester,” says Logan, who is looking forward to the new Trojan Time.